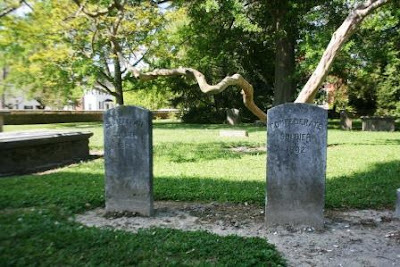 Those tombstones are amazing! Way to go on the sundial, Mom! What a wonderful place to explore. I have been to a concert in the chapel. It was a lovely space. You were really busy when you were in Williamsburg. It can be fascinating (and a little bit sad) visiting cemetaries. It sounds as if you boys were very interesting in it all. 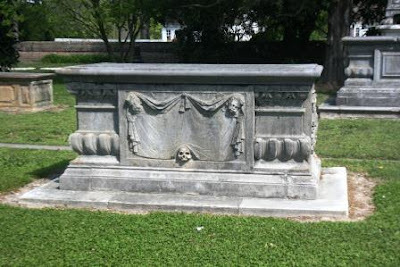 You'd really enjoy Hollywood Cemetery in Richmond, VA; it's incredibly beautiful and more US presidents buried there than any other cemetery. It's fascinating looking around historic places like that. Somehow I think it comforting to be buried right up next to a church. Interesting post Lisa. Great post! 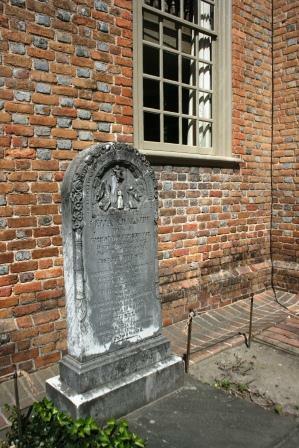 I'm amazed that some were buried so close to the church. There's an old cemetery in St. Augustine that I like to wander through. 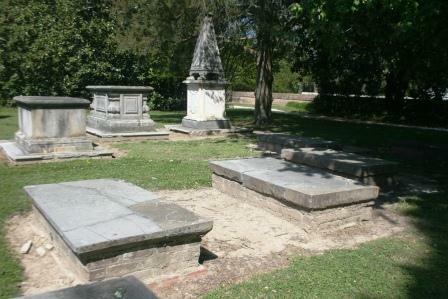 This is a very interesting cemetery and I love to potter about and feel the history as you know. You are the only person I know that has been to Terlingua, TX! I love the Big Bend! I also love to go to old cemeteries. The owner of Sloppy Joe's bar in Key West had his tombstone inscribed with 'I told you I was sick'. Haha! 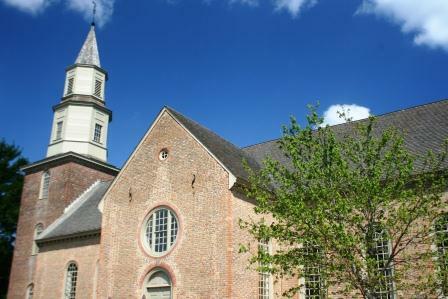 When we were in Williamsburg, we attended a candlelight acapella choir concert. It was magical! I'd love to see the interior of the church! Bet it's great looking. wow - some of those markers are like altars! I have a weakness for cemeteries. That is a really cool cemetery! A very interesting cemetery! Some of the newer ones now are so regimented, all the stones or markers have to look the same, and they just have no character. I bet the inside of the church would be so pretty...we have a church here that has the stones right up on the side of the church and it looks just like your picture. Now I guess I will have to go and snap it! I am impressed that you can read a sundial!!! 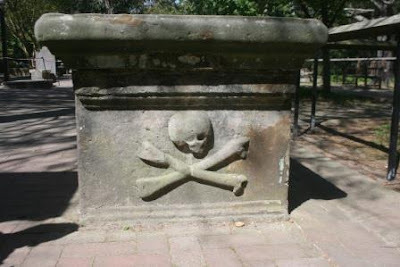 A fun place to explore, you may find info online sometimes.The first looks like a pirate grave. Oh love the sundial...I'm intrigued by them! It looks like you had so much fun-it's been a long time since I've been there but always enjoyed it! Thanks for the neat tour. 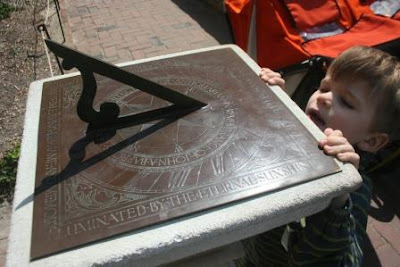 I'm amazed that the sundial was so accurate! What magnificently crafted tombstones. Who knew that graveyards could be so entertainin'? Heeehehehe! Thanks so much for the tour, I've really enjoyed it. Great post! There's so much history in a cemetery. We went on the ghost tour right behind there! ooo the church would be fun. I used to love going through churches in Mexico! 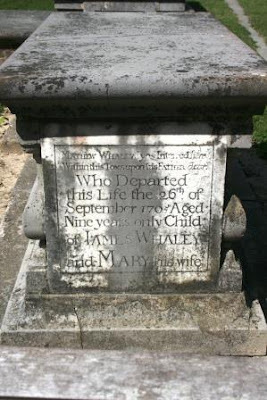 Old cemeteries are fascinating, and I always wonder about the people behind the engraved names. This one, that you visited looks really fascinating! There is a town close by named Roslyn (that the show Northern Exposure made famous) and the old cemetery there is divided into different ethnic sections-I find that really interesting. I didn't realize that there were people from so many different countries who had immigrated to this area back then. I love old cemeteries too! That grave right up next to the church is very, very odd. Wonder what the reasoning was behind that. I wonder if past church officials were buried close to the church...interesting. Would love to go there too!